Pom poms: either you love them or you hate them. Make pom poms out of yarn or with faux fur like these. You can use a traditional pom pom maker or toilet paper rolls or a fork, or chair legs or even a cardboard cutout. The possibilities are endless. It is important to note that the size of your pom pom maker (whichever method you choose) will determine the size of your finished pom poms. Using toilet paper rolls makes for quite large pom poms, while using a fork creates quite small pom poms (great to replace bows on gifts!). 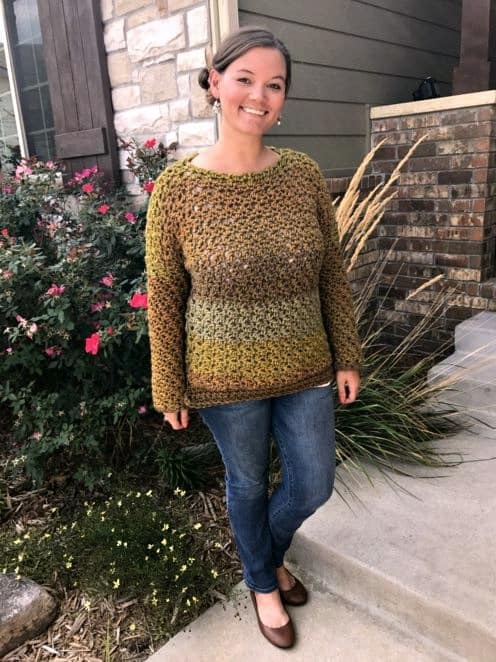 Need something in the middle of those two sizes? Try two chair legs pushed together! The most important thing is to make sure you have enough yarn wrapped around your maker, so that you get a nice, fluffy and dense pom pom. 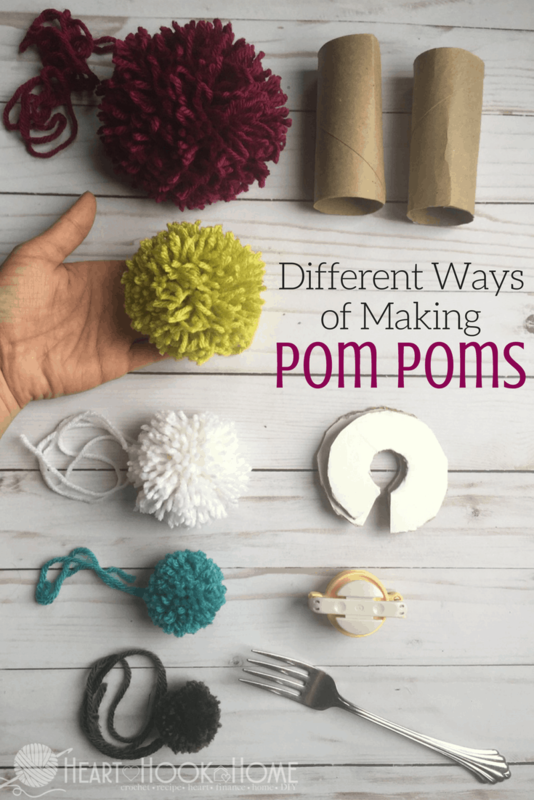 I have personally used all of these methods, but I still find that making pom poms with actual pom pom makers easiest (and a heck of a lot faster). I have all four sizes of the Clover pom pom makers, and I have gotten to where I only need about a minute and half for each one! This set of pom pom makers is similar and at a fraction of the cost. If you plan on making a bunch (like in the mohawk hats using pom poms) you might splurge and get yourself a set. 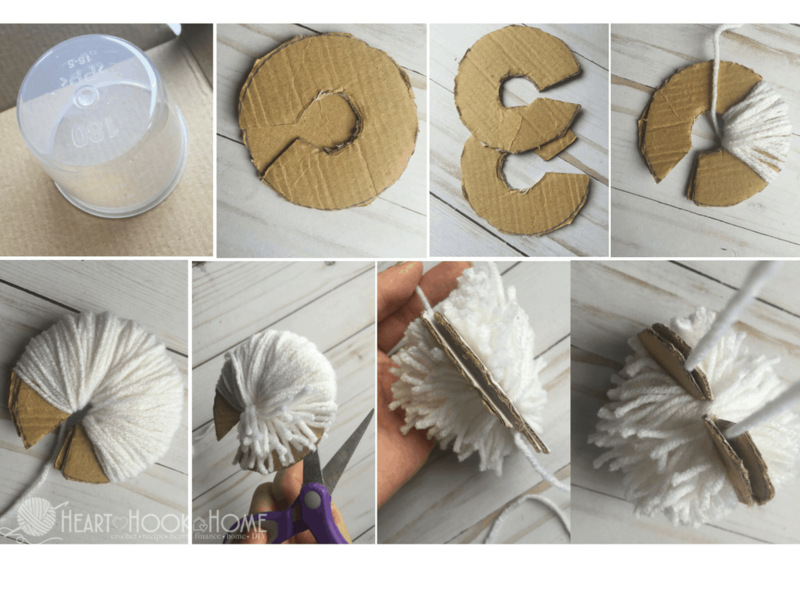 Want to try with items at home before committing to buying a pom pom maker? Read on, friend! 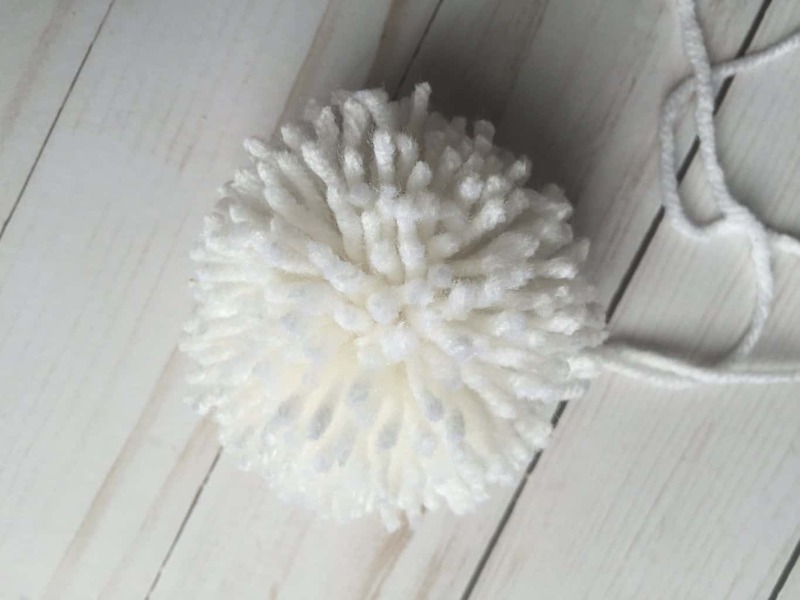 This method makes large pom poms. You’re going to lay two empty toilet paper rolls together. Wrap yarn around and around and around the two tubes until you’ve got a good amount of yarn. Take another piece of yarn (about a foot long should suffice) and work it between the two tubes and tie a tentative knot. Gently push the yarn toward one end of the tube, being careful to hold onto both ends of the yarn you’re using to securely tie the pom pom together. Once the yarn is off the tubes, tie it tight and cut around both edges of the pom pom (where the toilet paper rolls were previously). Trim to form and voila! Done. Using a fork, wrap yarn around all tines. Wrap and wrap and wrap until you get the desired amount of yarn. Now you’ll thread another piece of the yarn through the center tines, and tie a secure knot. 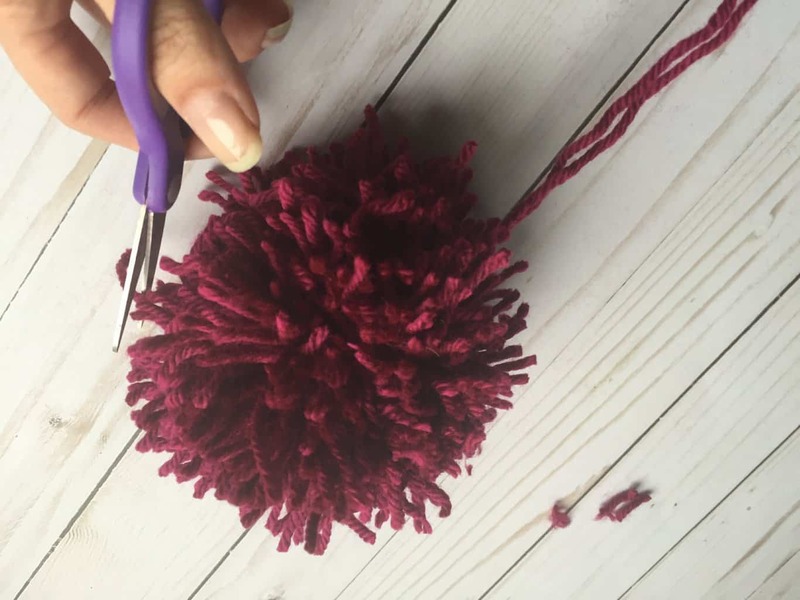 Gently pull the yarn off of the fork and cut up both sides to create the pom pom. Trim to form and voila! Done. Basically the same idea as the concepts above. 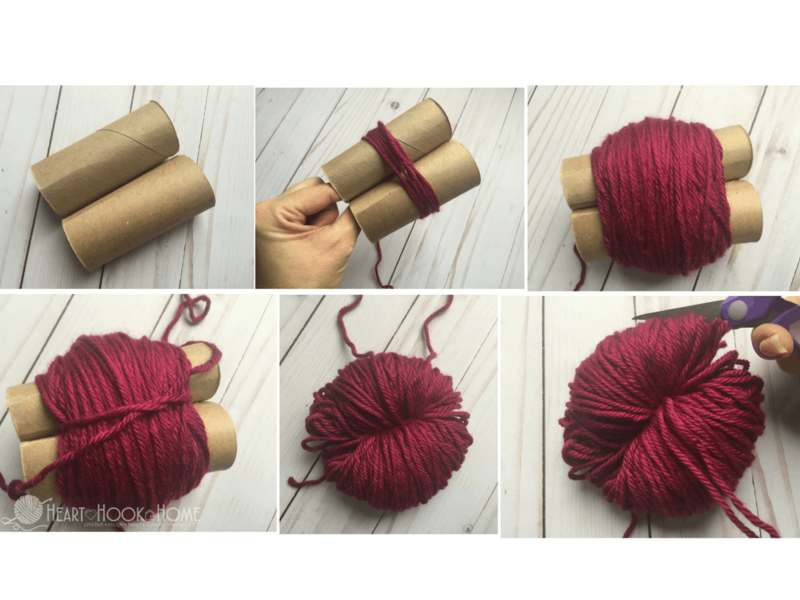 Simply wrap around and around your hand until you get enough yarn. 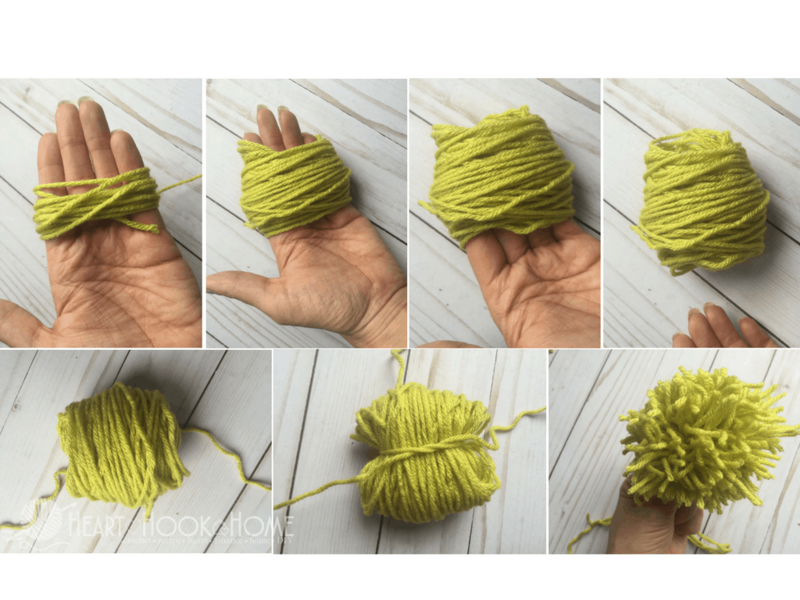 Gently pull the yarn off of your hand, wrap another piece around the center of the yarn ball. Tie it tight to secure, cut up both sides. Trim to form and voila! Done. In this instance, you’ll use two chair legs as substitutes for the toilet paper rolls above. Push the legs as close together as possible (it is better to lay the chairs down) and wrap your yarn around two of the legs. Then, using another piece of yarn, tie around the center and gently remove from the chair legs. Cut up each side and trim to form. Voila! Done. Using a cereal box or other cardboard (the sturdier the better) cut out two Pac-Man lookin’ circles exactly the same size. The larger the circle, the larger the pom pom. Lay the circles together and wrap the yarn around and around. Insert your scissors between the two pieces of cardboard and carefully cut around, being careful not to lose any of the yarn bits through the Pac-Man’s mouth. Using a separate piece of yarn, secure in the middle of the pom pom and tie tight to secure. Trim to form and voila! Done. Isn’t that fun? Which method is your favorite? Thanks for the easy tutorial! My figure skates needed new poms, my other ones weren’t really my aesthetic anymore! Great fun! I made some pom poms using two toilet roll cardboards ...so easy and quick . Toys for my cats ! How do u keep the little strands of yarn from coming out so easy in the Pom Poms? Make the knot you tie to create super tight! Yet not so tight you break the strand of the tying knot. Hi! 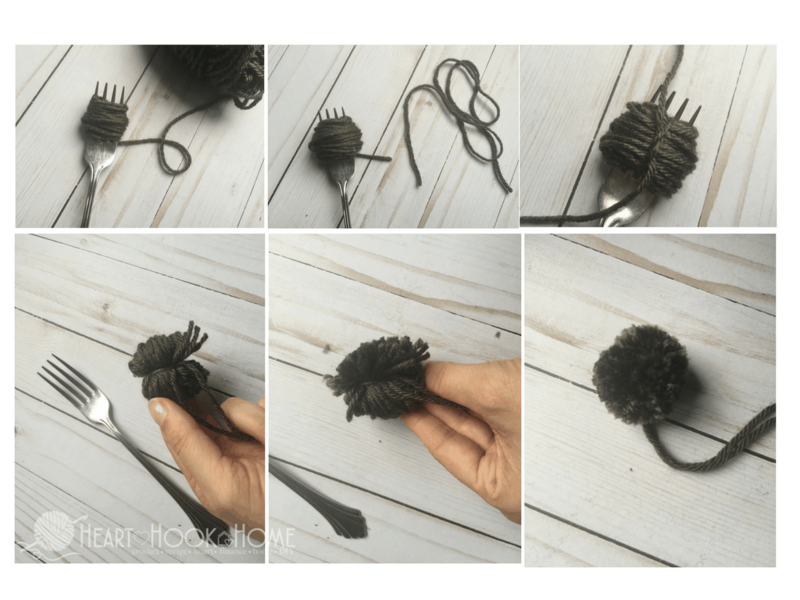 I just made pom poms using the fork method and it was so easy. I had a great time and came up with something different! If you would like to see what I made with mine go to my Instagram account, gnatspan. I mentioned that I learned to make the pom poms from your blog :) Thank you. When I attach my pom poms to hats, they seem floppy. How do you attach yours? 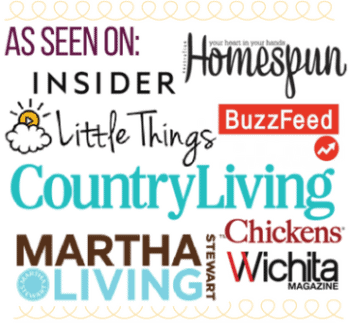 I love you blog and have learned so much. Thanks! Hopefully you figured it out, but I see a *little* bit higher into the pompom than thou initially think you'll need. That essentially gives the pompom a wider base and makes it more stable.